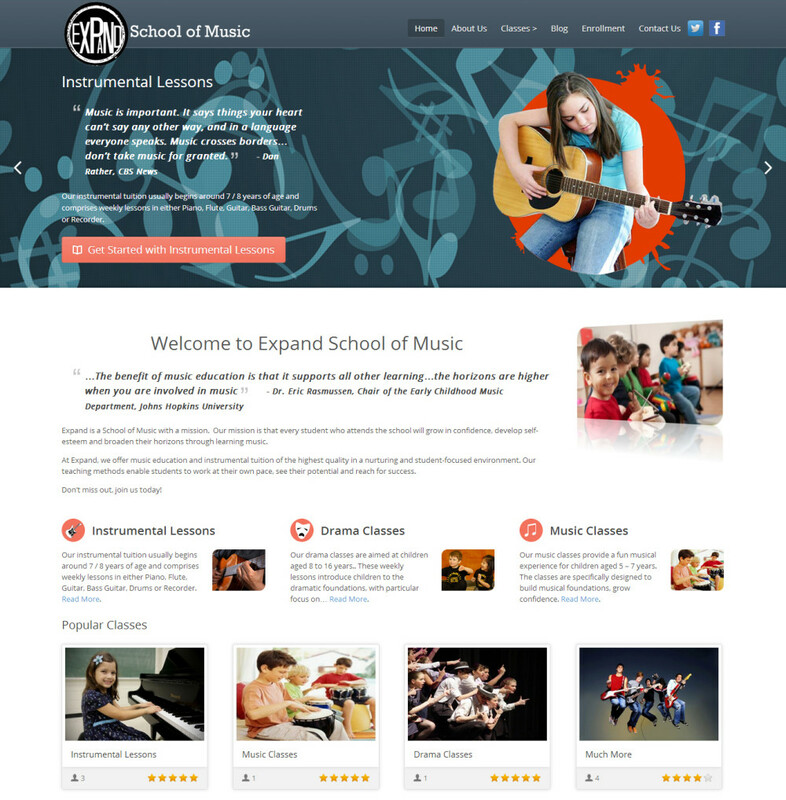 New clean UI design Website, for tablets, smartphones, and full mobile responsive code & development. 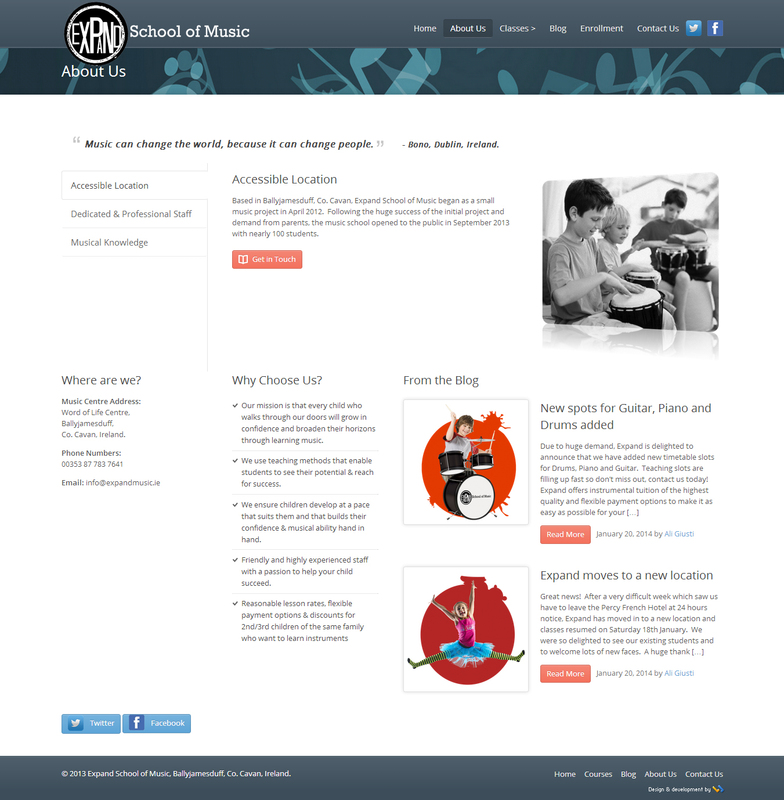 Hosting, front-end graphics, CMS integration. 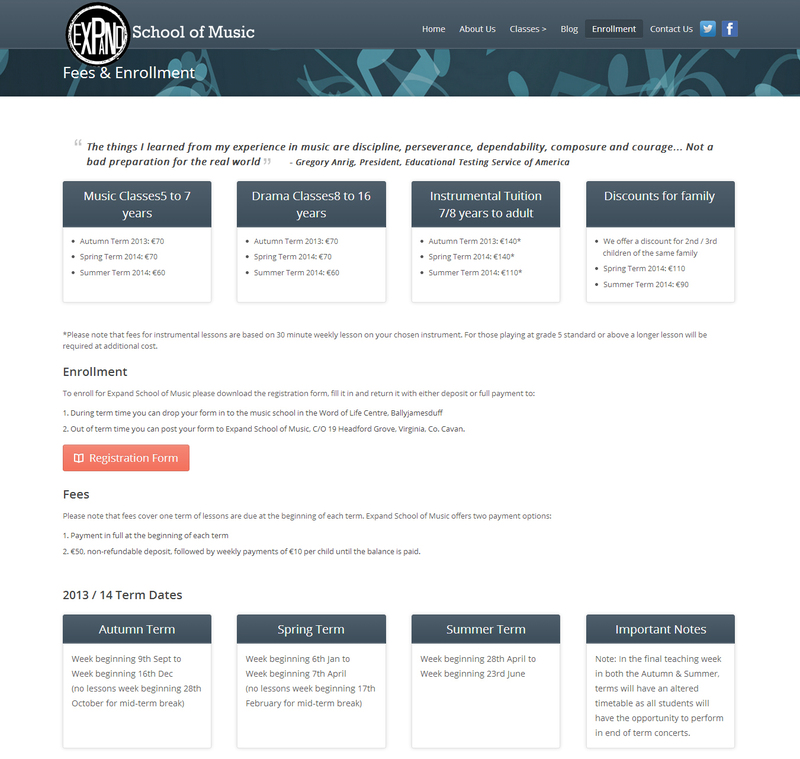 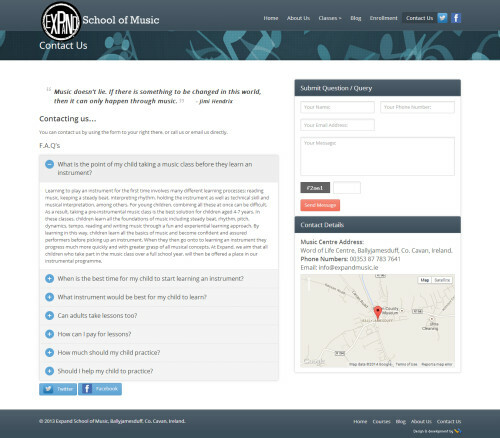 Client Name: Expand School of Music, Cavan, Ireland.